Konny Looser wins today's finish sprint by one meter against Urs Huber. The stage was a classic 102 km marathon from Skybury Coffee to Wetherby Station in Mount Molloy had started with a mellow 30 km to the first feed zone and then continued with countless steep pinch climbs that forced even the likes of race leader Huber off the bike. Soren Nissen finished eight minutes behind the inseparable Swiss duo ahead of Matthias Grick (+23min) and the Czech rider Milan Damek (+27:44min). 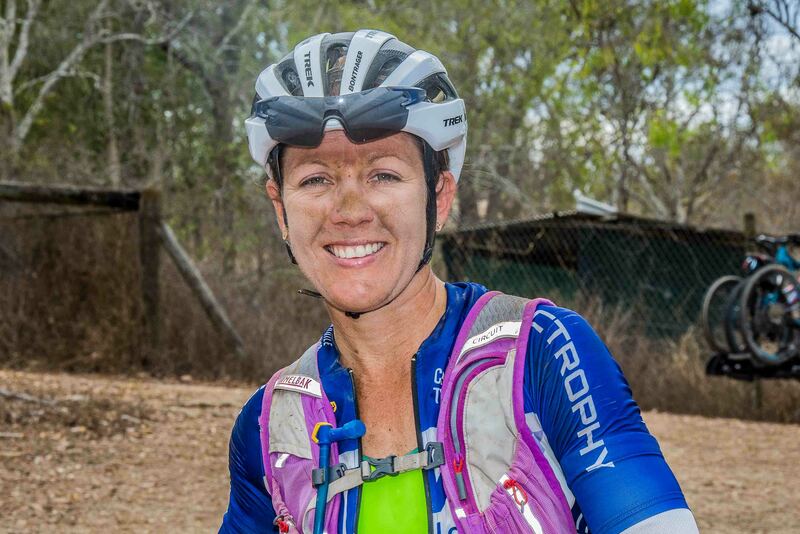 In the women's Sarah White once again dominated on the hills during the second half of the stage and put 11:23min into Lucy Coldwell, defending and increasing her overall lead ahead to 26 minutes of tomorrow's last stage to Port Douglas. Skoujke Dufoer finished in third today and has a 5 hour gap behind Sarah White overall. For the last stage tomorrow, all eyes will be on Huber and Looser; with only 1:10min of a gap in the general classification after seven days and 650km of racing those two made sure this race remains a thrill until the very end. For Huber it would be his fifth Crocodile Trophy victory, which would set a new record in the 24-year history of the event and has been his ‘ultimate goal for this year’s race’. The official winners ceremony will be held near the Surf Life Saving Club on the beach from 2pm. 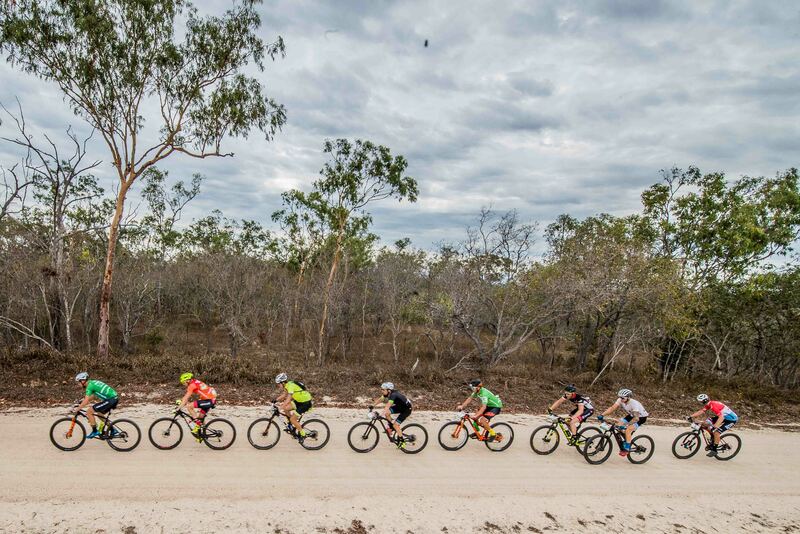 The elite men's lead group racing through the Outback. Photo: Regina Stanger. Images may be used free of charge in print and online for coverage in relation to this media release and the Crocodile Trophy event with photo credits. Click images above to download high-res file. A wider selection of images is available via the following Dropbox Download Link - contact media@croc.at for specific images. 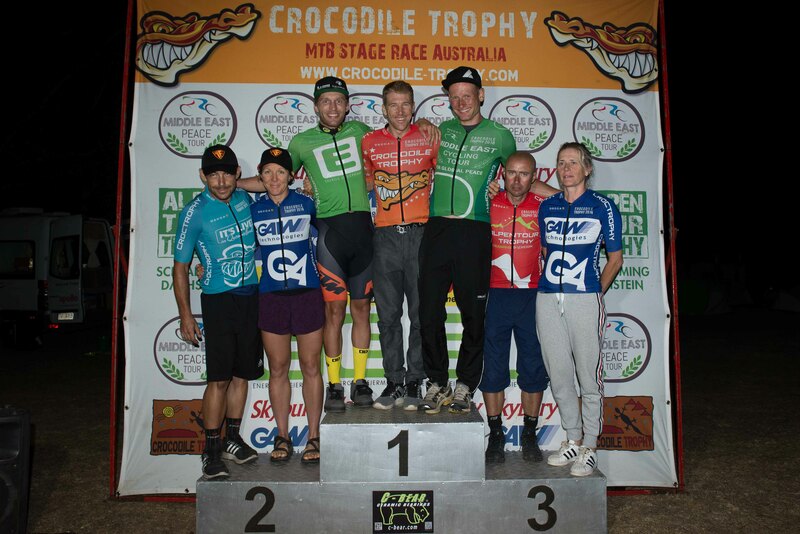 Race updates and interviews will be posted on the Crocodile Trophy YouTube channel as they become available.